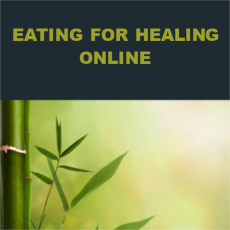 Each week we will focus on a particular health issue and discuss the specific diet changes that will best correct it using the principles of Chinese Medicine nutrition. Topics will include arthritis/inflammation, cardiovascular health, cancer/autoimmune problems, skin problems, allergies, stomach/intestinal problems, gynecological health, prostate health, candida overgrowth, and parasite problems No prior experience needed! Online class is recorded during broadcast and those registered will have access to the live online class as well as recordings of each class. You do not have to be present during the live broadcast to participate in the course.